Part of the border wall along the Rio Grande in Donna. Landowners in the Rio Grande Valley sector will soon be contacted as government officials prepare to assess lands slated for wall construction, according to an email sent from officials with the Department of Homeland Security to lawmakers Monday. 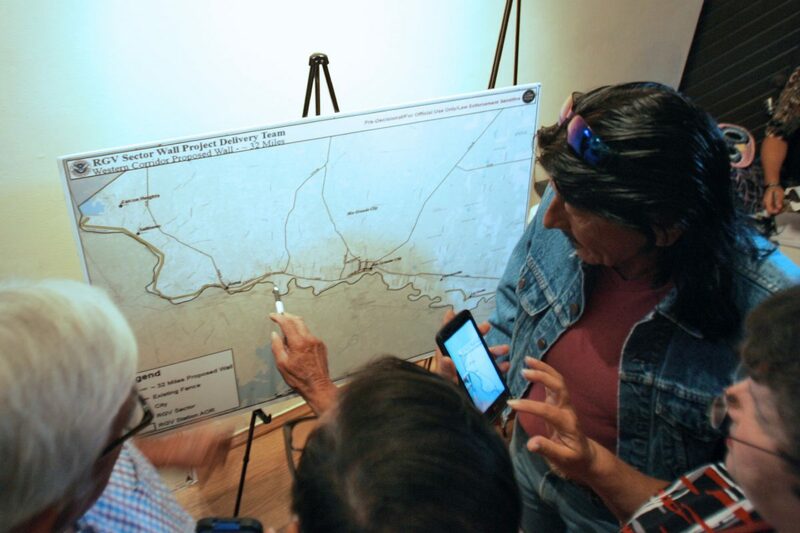 The email states that U.S. Customs and Border Protection and U.S. Army Corp of Engineers officials will “immediately” start to reach out to landowners in the Valley to conduct “Rights of Entry for Survey,” or (ROE-S), in order to commence the real estate, environmental and design processes for the border infrastructure projects that were funded in CBP’s 2018 fiscal year plan. The news comes a week after new construction began on the U.S.-Mexico border, specifically in Santa Teresa, New Mexico, where 20 miles of primary vehicle barrier area was replaced. It was the first project to get underway since the Omnibus bill passed in late March, which approved $1.57 billion for physical barriers and associated technology along the Southwest border, including 90 miles of border wall system. Local residents and others look over the proposed border wall on a map before listening to speakers talk about property owner's rights at Casa Del Rio Tuesday, October 17, 2017, in Roma. One potential site in the Valley for border wall and fencing is at the National Butterfly Center, where just last summer federal officials were found surveying the area. The USACE officials were surveying and clearing trees near the center for a potential border wall. In response, Jim Frisinger, a spokesman for the U.S. Army Corps of Engineers, confirmed that work had begun near the center but that it was limited to mainly surveying, marking spots and some boring of soil. “The U.S. Army Corps of Engineers’ contractor has not performed any clearing or tree removals in the vicinity of the subject location,” Frisinger said in an emailed statement. 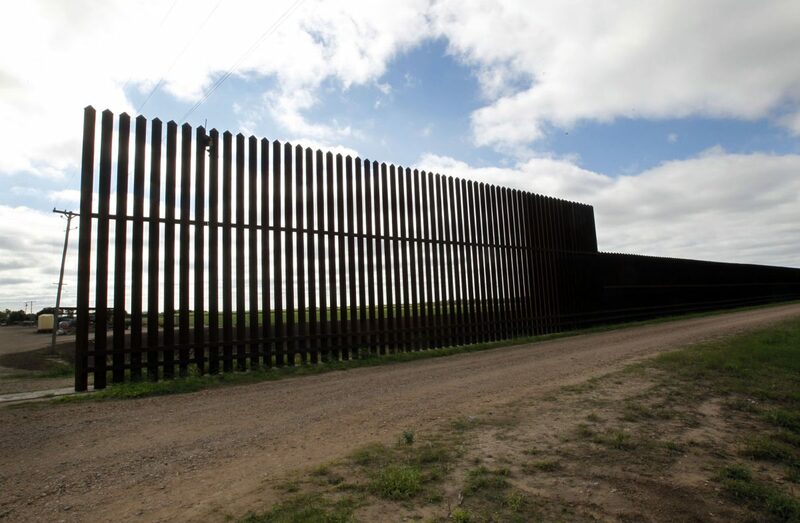 The RGV sector is slated for 25 miles of new levee wall along the Rio Grande River and 8 miles of bollard wall in Starr County, Texas — closing gaps along the border in the RGV sector is also part of the border wall project,” CBP announced following the bill’s passage. In what some considered a rare “win,” the Santa Ana National Wildlife Refuge, considered the “crown jewel of the wildlife refuge system,” will not be part of any border wall construction — effectively putting an end to talks of placing walls around the more than 2,000-acre refuge. The contract was set to be awarded in early May, but that plan died after the Omnibus bill was passed with Santa Ana, a federally owned piece of refuge, left off the list of potential locations for border infrastructure. Last week, CBP spokesman Rod Kise, who was in attendance for Gov. Greg Abbott’s visit with National Guard troops in Weslaco, confirmed the contract for a levee wall system in Alamo was dead. Outreach from CBP and USACE officials will begin with landowners in Hidalgo County, then move to reaching out to landowners in Starr County, the email states. While he could not confirm the DHS email, Kise said Monday that CBP was expected to announce news related to border infrastructure projects in the Valley on Tuesday. A message left with officials at the USACE in reference to the DHS email went unreturned as of this posting.